There is something pretty interesting about having such a large age gap in between my children (almost 7 years to be exact). I have watched the drastic transformation of the available products on the market geared toward these little people. When it was time to start solids with my youngest, I made the decision to make all of our own baby food. When we were on-the-go, I always made sure to keep those baby food pouches with us, because they were simple, mess-free and came in a variety of flavors. Luckily, people realized that maybe families would wish to make their very own pouches from the food they are making at home, and....TA-DA! 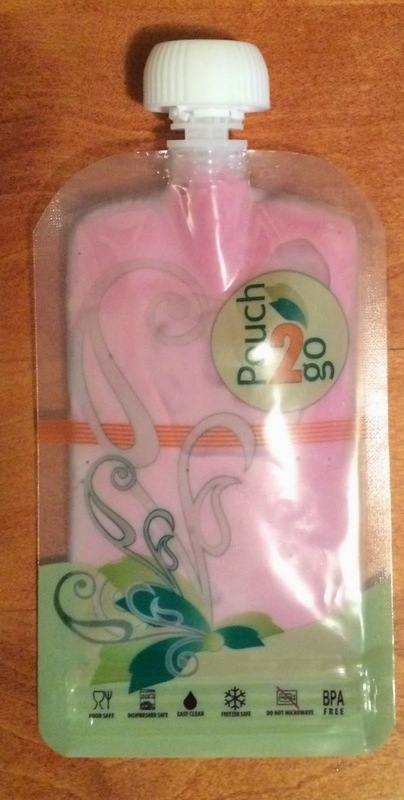 We have reusable pouches from Pouch2Go. 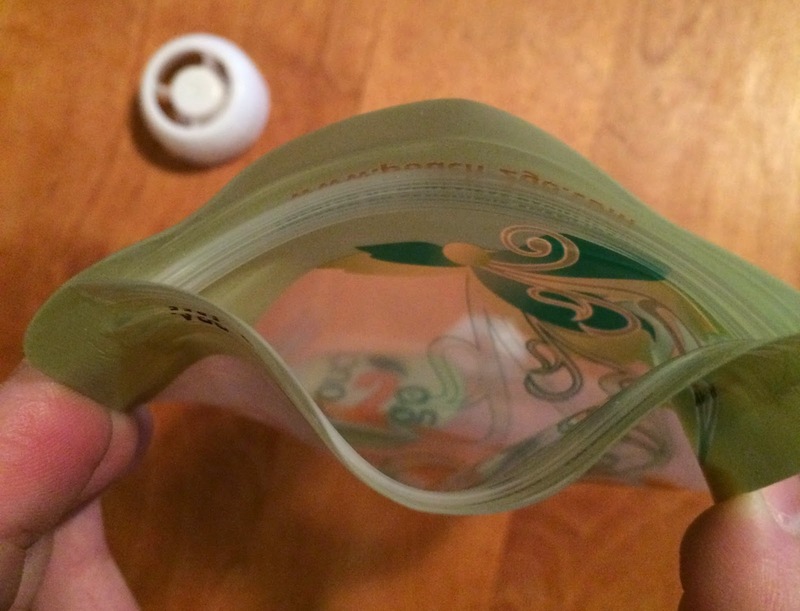 With regard to reusable food pouches, these things are the best (in my opinion of course! ).You see, they open at the bottom! There is no funneling in whatever you choose to put in them, no battle to keep the corners free of food particles, and they have an extremely secure closure to ensure nothing comes back out. They hold 4 ounces which is the perfect size for an infant or toddler snack. I find that these are great for older kids too. Their portability make them an amazing resource for active families. Among these features, the pouches are also BPA-free, dishwasher-safe and freezer-safe. They are NOT microwave safe, although I am not sure they hold foods that you would want microwaved anyway. 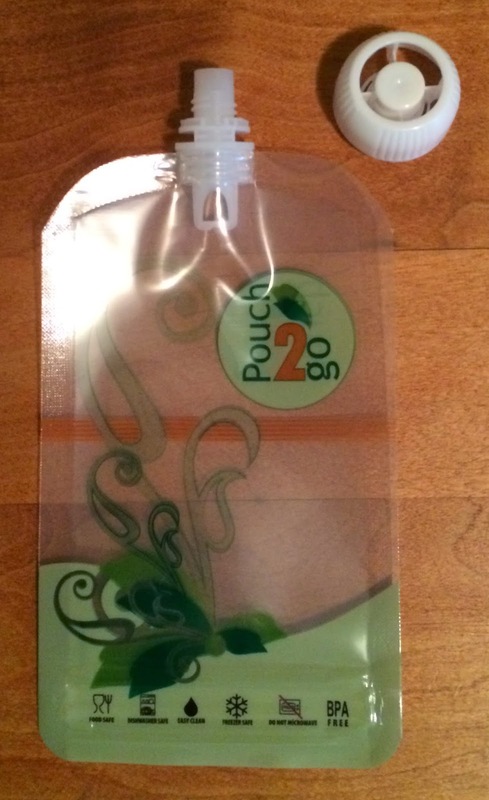 The Pouch2Go pouches are a money saver in the long run. I am not sure how many uses they are projected to deliver, but they are very sturdy, so I see them sticking around for quite awhile. Plus, 5 pouches come in each pack. While these are likely used most for baby food, I like to use them for applesauce, yogurt and smoothies for the whole family. I can prepare them and lay them in the fridge for an easy snack on-the-go. Or, when my oldest is running out the door to get on the bus, he can have his smoothie "to-go". That way I know he is getting a balanced breakfast, even if he is running late. Pouch2Go is a wonderful product to have on hand if you wish to provide your children (or yourself) with healthy snacks on the go. Some get comfort out of making their own food at home so they are certain of every ingredient that will be consumed. This product allows you that freedom with the added benefit of traveling well. It is the perfect size to throw in your purse, in a book bag, or even a lunch box! If this is something that interests you, you can purchase a 5-pack from Amazon for $17.99 HERE. That price is subject to change at any time as they are traditionally $22.49. You can also view their website, HERE, to keep up with the company and all that they do.